Quick example: You go into a store looking to buy something. A sales person helps you, but you leave without making a purchase. You go back a week later, and the sales person greets you by calling you by name. How do you feel? Maybe respected, appreciated and memorable? And do you want to do business with someone who cares enough to remember your name? Of course. When Coca-Cola introduced Coke bottles personalized with people’s names, sales jumped 2%. Now I know 2% might not sound like much, but to a company as big as Coke, it’s huge. Re-engage with customers and even subscribers who are no longer active. For example, for customers who haven’t made a purchase in 90 days, or subscribers who haven’t clicked a link in a month, send them a photo of you in front of a whiteboard looking sad. When your customers buy a product that you are shipping out, keep them engaged by sending them an email with a picture of their package. This keeps them excited and tells them it’s on the way. Bonus: Get a clear shot of the address label, and it will help them to confirm their shipping address before it’s too late. This will capture their attention, be far more memorable and do more to get them on the webinar than the standard email that webinar services send out as reminders. This emphasizes the sense of loss in not ordering, and will get some of your customers to come back and finalize their purchase. If you use text messages for following up with customers, how about adding an image of a newspaper that features their name and the reason for the follow up? It’s guaranteed that you’ll have their attention. Send out a personalized image that contains congratulations on their anniversary – perhaps the anniversary of purchasing a product, subscribing to your list, joining your membership site, etc. You’ll make them feel special and important. This is a brilliant idea that can put serious money in your pocket almost immediately – send out an image letting your customer know they forgot something. It might be a picture of the upsell they didn’t take, along with words such as, “You forgot something John! (It’s our best offer). Do you offer any kind of courses or online training? Send out personalized and official looking certificates of completion with their name, the training level achieved, the date, signatures and seal. When someone places an order, send them a photo of you and your team with a sign that welcomes them by name. It might say something like, “Welcome to the family, Aaron.” Make sure everyone in the photo looks especially happy. Good question. The answer is, you do – if you get PicSnippets. PicSnippets creates personalized images for marketing, sales and customer follow-up. You can create your PicSnippet and use it on nearly any platform such as Infusionsoft, ClickFunnels, Shopify, ManyChat, Klaviyo, FixYourFUnnel and more. 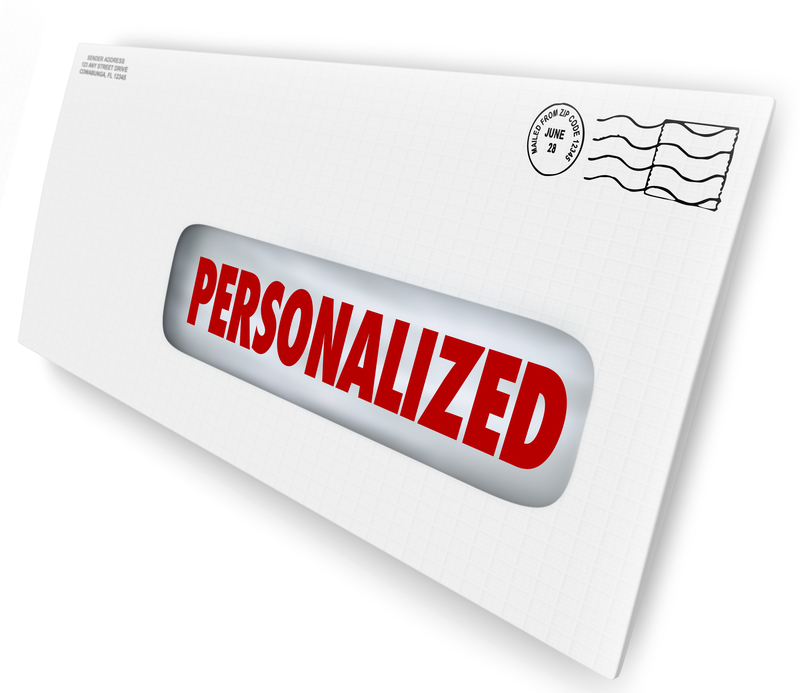 Put personalization to work in your business and get ready for your customer engagement and sales to reach new all-time highs! Your customers are bombarded daily by the same types of offers – so how can you stand apart from the crowd? Let’s take the online marketing niche as an example: Everyone is proclaiming to have THE product that will enable ANYONE to make a million dollars this year, or more. Prospects are confused because there are simply too many choices. What they need is some relief from the continuous barrage of similar looking offers. Here you come, offering not to sell them the latest greatest program, but instead help them to solve the problem they have right now. What is their immediate problem? It’s not making a million dollars this year. But it is learning how to make enough money to quit the job they hate. You offer a Facebook group that is aimed at replacing their salaries and allowing them to quit their job. Finally, they found someone who is meeting them where they are, instead of tying to call them to the top of Mt. Everest. Because let’s face it, when you’re not making a dime online, making a million bucks seem about as likely as scaling Everest with no prior training. 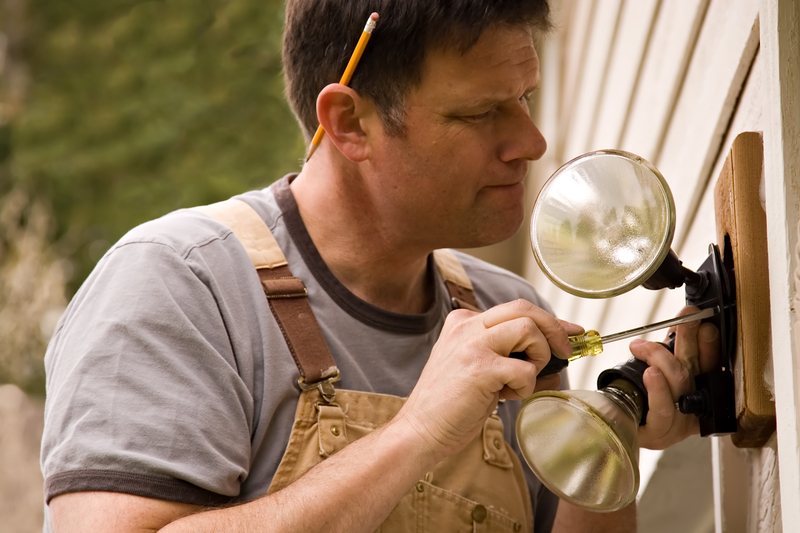 Instead of being one of many gurus, you position yourself as the guy next door who works on cars and does gardening, and also happens to have a thriving internet business. Sure, you’ll teach them what you know over a few cups of coffee and some good conversation. First, you’re breaking down that sky-high goal into something people truly believe they can achieve. Become an Olympian athlete? Not likely. Lose 20 pounds and feel and look better? Yes! Date the hottest models on the planet? No honest man is going to believe that. But be able to get dates with the nice women they meet through their work or hobbies? Now that they believe. Second is your own positioning. Instead of being THE Diet Expert or THE Dating God or THE Internet Marketing Guru, you are a normal, everyday person. Think about who you are – stay at home mom? Nutritionist? Astronomer? Astrologist? Doctor? Airplane mechanic? Crafter? Gardener? Cat lover? Write down the things you like the most about yourself. Now how can you incorporate that into your chosen niche? You might be the cat lady who teaches diet and nutrition, or the shade tree mechanic who also teaches body building. Or maybe the prolific gardener who also teaches online marketing. Whatever the case, use your own life to differentiate yourself from the crowd. By doing these two things – starting with goals your audience believes they can achieve and being a person they can relate to – you’ll stand apart from any competition. Your message will become crystal clear and people who need your message will flock to you. You’ll also be much more memorable as the ‘sky writing physical trainer’ than any of the other thousands of people teaching physical training online. What you don’t show is ridiculous claims, Lamborghinis, mansions and yachts parked on tropical beaches. Axe came out of nowhere to be the #1 male antiperspirant / deodorant brand. Notice they weren’t targeting EVERY man. They didn’t target married men, old men, men who could already get women on their own and so forth. They targeted ONE demographic – men in their 20’s and 30’s who were nerdy and had trouble getting women. But in the process, they had a great deal of crossover into the other groups as well. This is an added benefit of targeting that most marketers don’t realize. They think in order to get the biggest share of the market, they must target everyone. But when you target everyone, you tend to get almost no one. Paradoxically, when you target one specific group, you tend to get customers from all the other groups as well. One side note: In this case, Axe’s marketing worked almost TOO well. High school kids were completely dousing themselves in Axe, thinking they would get every girl in class to fall all over them. Instead, school districts complained of kids reeking of the cologne-like smell. How could Axe have fixed this? Perhaps by cautioning its users that because of the power of Axe, a normal amount was actually more effective than going full coverage. Instead, Axe backpedaled a bit from their original campaign, and sales declined. Which is another lesson – when you find a target market that works for your product – or better still, you target your product to the right market – don’t change what’s working. 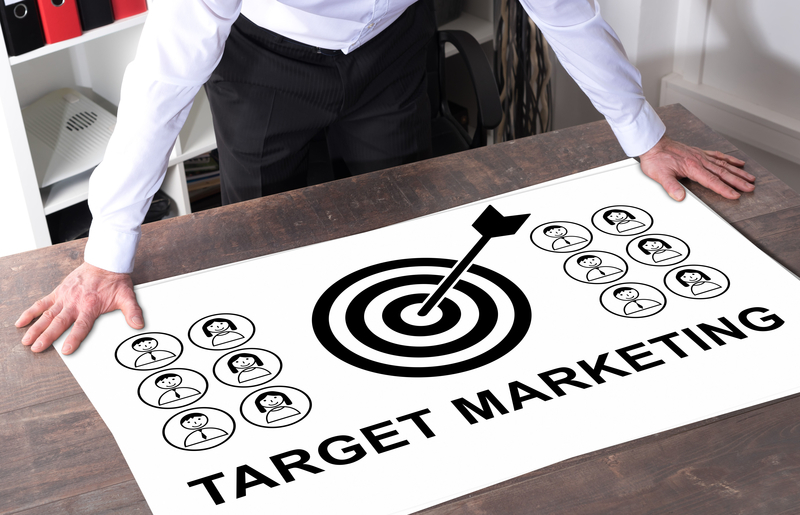 Make a list of potential target markets for your next product. 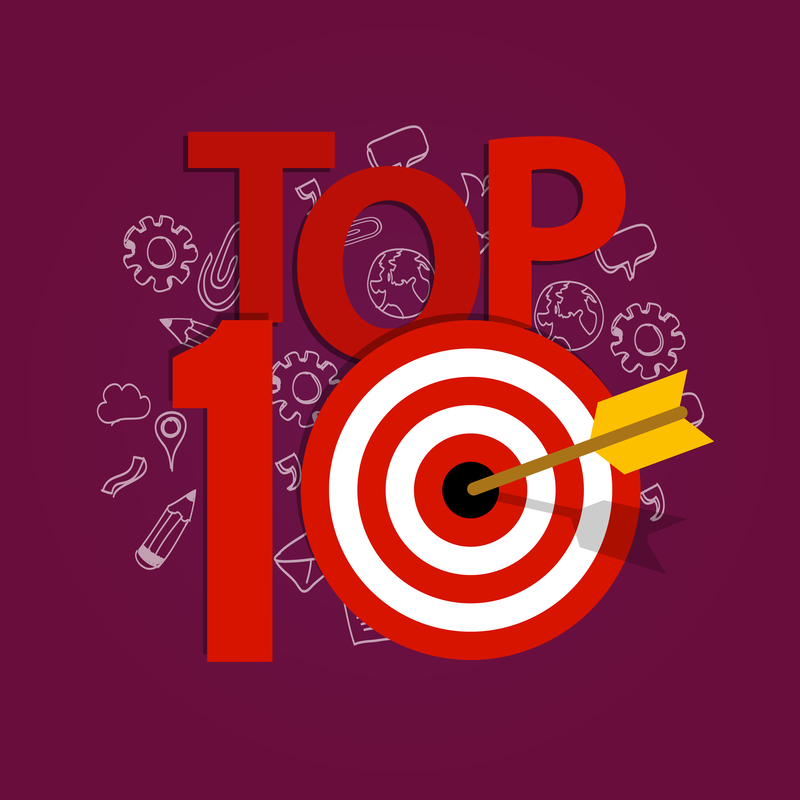 From that list, choose the market – or demographic – you want to target. Create a profile of ONE person in that market – this is your ideal customer. Tailor your product and your message to that one person. Dance around your office as you see the sales come flooding into your in box. Stop targeting everyone and start targeting your ideal customer. Once you do, it will become clear how you should market, where you’ll find your customers, and how to get them on board. And yes, your sales will almost certainly increase. 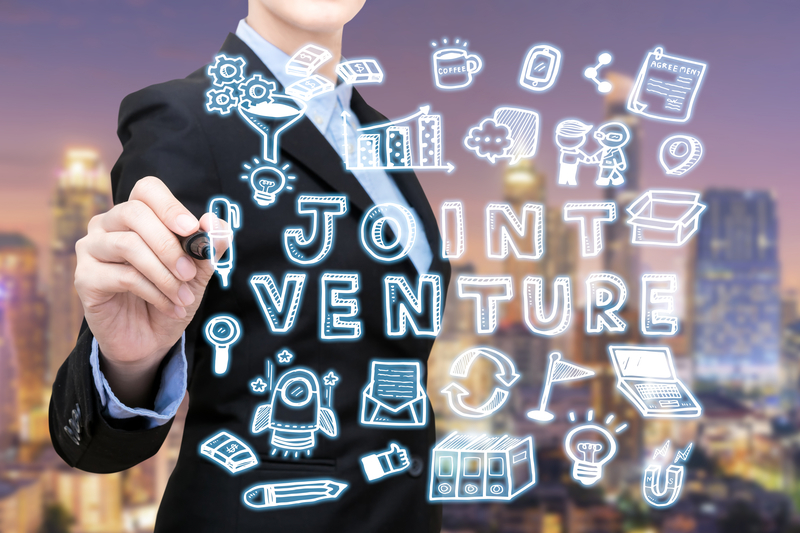 Nearly every day someone approaches me about doing a joint venture because as you know, joint ventures are a marvelous way to get your product in front of a lot of people. Better yet, getting your joint venture partner’s recommendation can significantly increase both sales and sign ups onto your own list. But that’s the good news – the bad news is anyone with a list gets approached day in and day out by numerous JV seekers, and the vast majority of those requests are either ignored or rejected. So how can you be the one who receives the coveted “yes” answer next time you approach someone for a joint venture? Whoopee. Can you imagine the excitement a list owner feels when receiving an email like this? There’s a reason this type of email doesn’t even get a response. Look, everyone is tuned into that same radio station you’ve heard so much about, WIIFM: What’s In It For Me? A list owner can get 50% in commissions anytime and anywhere without having to do a joint venture. This is why it is imperative that you stand apart from the crowd and offer the list owner something far more valuable than 50% on sales. Think for a moment – what is it that you’re really good at? Is it writing articles? Building squeeze pages? Writing sales copy? Social Marketing? Whatever it is, offer your potential JV partner your service in exchange for promoting your product, along with a good commission. For example, if you’re good at writing articles, offer to write a dozen or more on the topics of their choice and pay them 50 -70% commission on sales. Now this is an offer that is likely to get their attention. 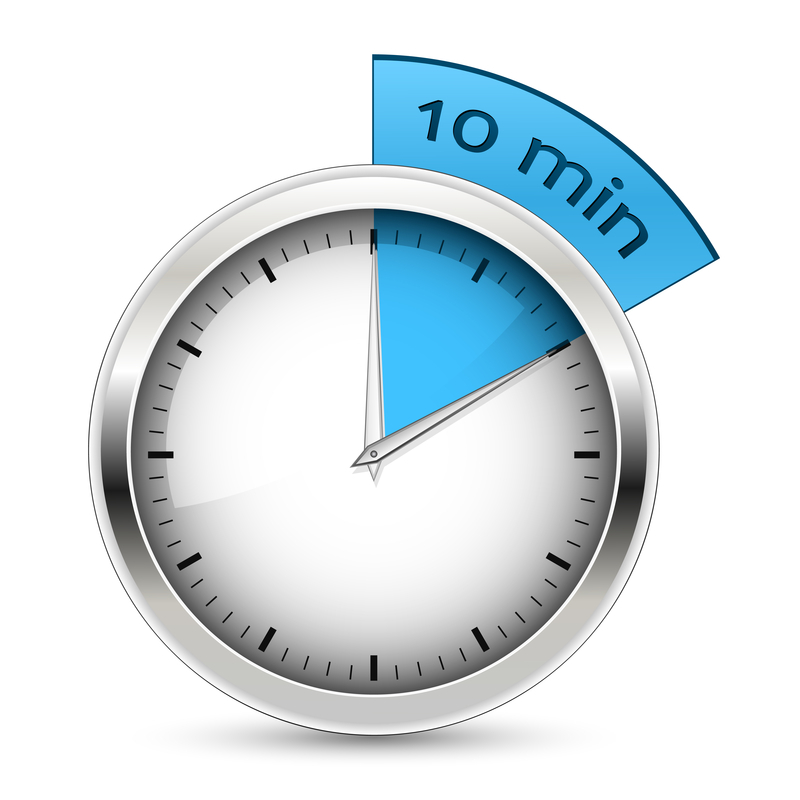 Sure it’s going to take you some extra time, but so what? You’ll be making sales, building your list, and most importantly, forging a relationship with your new JV partner. Second, consider giving away all of your commission on the front end product. If your product converts well and sells for a good price, this will get the attention of many list owners. 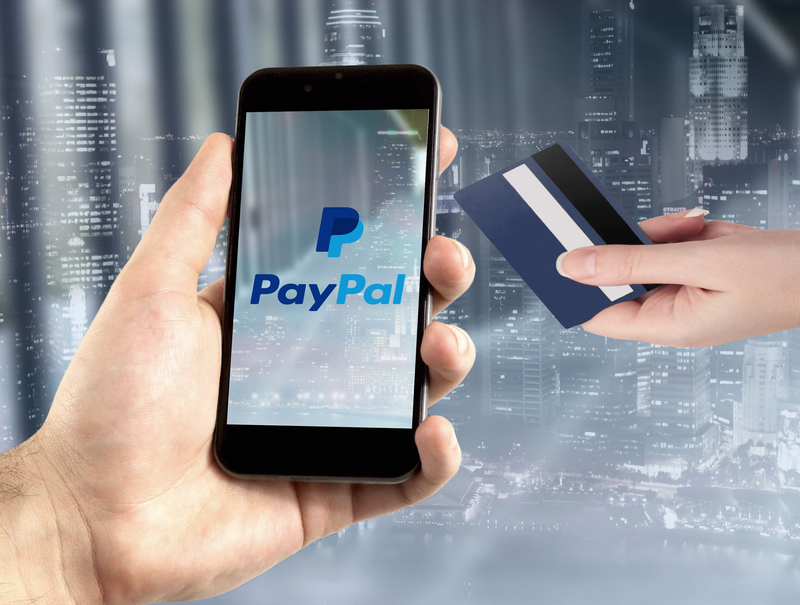 You’ll capture their attention even faster if you also pay immediate commissions or set it up so that commissions are paid straight into their PayPal account. Why would you give away all of your commissions? You’re not. First of all, you’re building your list with buyers, and buyers are wonderful indeed when it comes to promoting other products in the future. In fact, it’s been estimated that one buyer on your list is worth as many as 35 freebie seekers in terms of future revenue. Second, by placing a one time offer in the sales sequence you can also make money up front. You can either keep 100% of the commissions on the OTO, or split the commissions with your partner. Third, treat your JV Partner like someone more important than an affiliate. Set up a deal in which several JV Partners and yourself contribute products into one big product package, and then launch the package just as you would a product. Divide the commissions accordingly and everyone wins because everyone promotes to their own lists, ensuring there is plenty of exposure to the offer. Plus, each participant grows their own list full of new purchasers of the event. Another possibility – work together to create a new product. This doesn’t have to mean the two of you sit down in a room together and hammer out the product. Rather, each of you would complete certain portions of it on your own as a collaboration. For example, you might write the intro, they write the outline, you fill the outline in, you create the video and they write the sales letter (just an example, it will differ wildly for everyone.) You can even do a collaboration with 3 or more JV Partners. Just think – the more partners involved, the more lists you can promote your new product to. Fourth, warm up your potential JV Partner before you pop the JV question. Instead of immediately asking them for a JV, ask them for an interview instead. Or ask if you can promote their latest product, or ask if you can write an article about them for your blog, etc. In other words, see what you can do to help them first. If you are sincere about this, the law of reciprocity will kick in, and sooner or later they’ll want to repay the favor. That’s why when you ask them down the road to promote your high quality product, they probably won’t even hesitate to say yes. Okay, But What Do I Write in My JV Proposal? That first email to a potential JV Partner is scary, isn’t it? What should you say? What shouldn’t you say? Will they reply? Will they think you’re some schmuck hayseed from the sticks? First of all, don’t worry about getting rejected. Everyone gets rejected now and then, and online it’s usually a simple matter of being ignored. If this happens, realize that they may not have seen your email and send it to them again. Be nice, be respectful, and be persistent. After all, you’ve got nothing to lose by asking. Be personal, warm and friendly. Imagine you’re writing to your mother or father – you’d go out of your way to be polite. Reference something recent they’ve done. 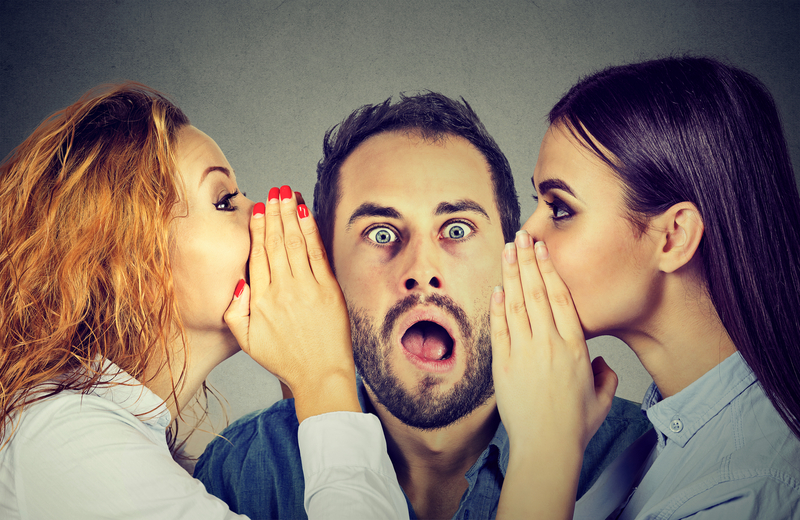 Maybe it’s their latest product or blog post – mention something about it so they know you’ve actually read the post or purchased the product. Play to their ego. Praise the post, product or whatever it is that you’re mentioning. NOTE: Praise it in a direct, specific and honest way. Don’t just say, “Great post, man!” Instead, say something like, “Thanks so much for the video creation tips – I’m going to follow your advice because I’ve learned first hand that your methods work.” A general compliment works too if you’ve been reading their content for awhile and can say so. Get to the point. Don’t write 3 pages on your personal history of Internet Marketing. Get to the crux of your communication, which is your proposal. Propose your plan. Again, don’t waffle and don’t digress. Get to the point and let them know what you’re suggesting. Be an authority. This isn’t the time to brag or boast, but it is the time to let them know that you’re experienced. JV Partners aren’t looking to hold your hand, they’re looking to do deals that put new buyers and new money in their pocket. If you’ve got proof, use it. For example, if you’re proposing a collaboration on a traffic product and you’re good at getting traffic, show them a link to a few screen shots of your traffic. You’re putting their mind at ease that you know what you’re doing. Outline the deal without a lot of detail. If you’re proposing they keep 100% on the front end and 50% of the back end, say so. Don’t tell them which hosting company you use or what hours you work. Ask. Ask them for feedback, to do the deal, whatever. Close with a call to action so that it’s super clear the next move is theirs and you’re looking for a response. Again, you’re not dictating – you’re simply being professional in a warm, friendly manner. Send and wait for a response. Don’t expect them to fall all over themselves in gratitude that you wrote. If the answer comes back negative, write back and tell them thank you very much for considering it, and you look forward to an opportunity to perhaps work with them in the future. Don’t rant or rave or get nasty – the last thing you want to do is slam the door on future opportunities. Confidence and professionalism. Do you know what you’re doing? Are you capable? Experience. What is your experience as related to the topic of this JV? What are you bringing to the table? Trustworthy and reliable. Will you do what you say? Can they trust you? No huge time commitments. Big commitments are scary and stressful, small ones are much less so. Don’t ask them to write a 300 page ebook for your JV – it isn’t going to happen. Enhanced reputation. Is this a quality product that provides lots of value? Or are you looking for the quick buck? More buyers for their own list. If you can bring buyers to the table, you’ve got a powerful motivation for them to participate. Money. Of course this is often (but not always) a motivator – how much money might they make in relation to the time invested? However, don’t assume this is their primary motivation. A good marketer knows that growing their list of buyers provides far more income on a long term basis than making quick money today. And no decent marketer wants to make a quick buck if it risks their reputation with their list. Next you will iron out the details, go above and beyond the expectation of your partner every chance you get and run the best Joint Venture you possibly can. Hopefully it is a great success. And no matter the outcome, there is still one more step to take before you’re done, and that is to thank your JV Partner in a memorable manner. Why? Because many marketers do several JV’s a month, and if you’re not memorable, they may not say yes the next time you ask. Do a little research, find out what they like, and then send it to them. Does he like cigars? Is she partial to good coffee? It doesn’t have to be expensive because it’s not about the money, it’s about saying THANK YOU!!! Believe me, I still remember a JV Partner I worked with 5 years ago who sent me a very nice gift in the mail. And even though we’ve since lost touch, were he to contact me today for another JV, I would almost certainly say yes. And for him (and for you), that’s like money in the bank. I recently stumbled upon a blog I highly recommend you visit anytime you need a recharge, called https://www.wakeupcloud.com. It’s written by Henri Junttila, and frankly it’s a much needed breath of fresh air in the field of positive self-change. One of his blog posts is his own personal compilation of “77 Great Quotes That Will Change Your Life,” and within that post I discovered 10 quotes that are especially relevant to our chosen field of Internet Marketing. I offer them here, along with my personal thoughts. Enjoy! If we’re growing, we’re always going to be out of our comfort zone. 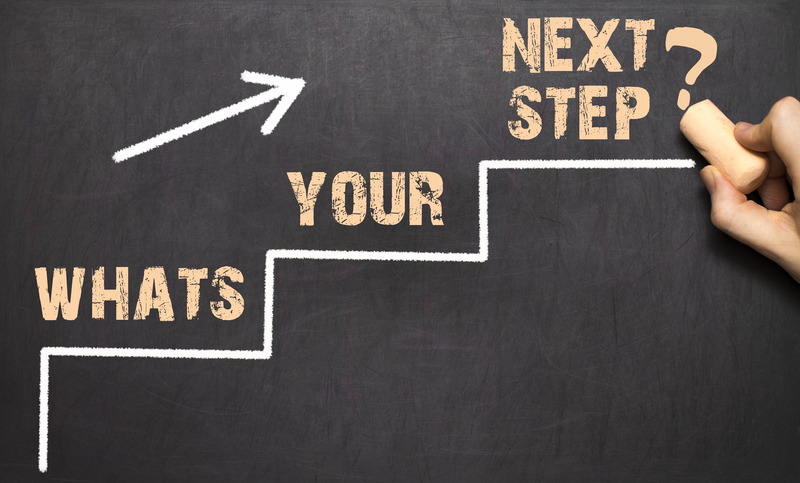 Every first step you take in your Internet marketing career – be it setting up a website, making a blog post, creating a product, doing a launch and so forth – will take you out of your comfort zone. Relish the experience because it means that you are growing, that you are succeeding, that you are LIVING. If you wait to do everything until you’re sure it’s right, you’ll probably never do much of anything. Time and time again I see new marketers who are waiting for just the right time to launch a product, just the right moment when they know everything to start a website, just the right alignment of the planets to build a membership site. You’ll never know everything you need to know – so just take action. It’s like riding a bull – you don’t know how he’ll try to buck you off, so get on, hang tough, and enjoy the ride. Afterward you’ll bask in the glory of your success and plan your next conquest, while those who were too timid will forever wait for the “perfect” time. Many people start things in Internet Marketing, but few finish. They start a blog, write a half dozen posts and then quit. They begin creating a product, get halfway finished and then set it aside to go do something else. Others don’t even get started because they’re too busy bouncing from one idea to the next, never settling on one long enough to begin, much less seeing it through to completion. So get started, and then keep going. Each day do something – anything that moves you forward. I don’t care if it’s late at night and you’re dead tired – if you haven’t moved your business forward today, then DO SOMETHING before you fall asleep. This habit will be the one that propels you beyond the finish line and into the waiting arms of triumph. Remember: If you fail to persist, then you fail. Action will remove the doubt that theory cannot solve. New marketers doubt their ability, doubt their market, doubt their systems and even doubt their own minds. They doubt their ability to sell, their ability to communicate and I suspect their ability to get out of bed and take action. Result? They buy more ebooks on how to market. They do more reading, more research and more learning, thinking this will remove the doubt and replace it with unbridled confidence. Reality check – this NEVER works. The ONLY thing that removes doubt and instills confidence is ACTION. All the knowledge, learning and theory in the world cannot erase doubt because it is only through action that anything real is achieved. And without achievement, there is no sense of self worth, and without self worth there is no confidence – only doubt. Here’s an example taken to the ridiculous: A new, intelligent marketer studies how to make a product that everyone will adore. He studies the other products in his market, he studies the market itself, and he works for years at devising the perfect product, which of course has evolved over and over again to adapt to the ever changing market. While this is going on, a not-so-bright marketer finds a question on a forum about a problem someone has, creates a 20 page report that holds a solution to that problem, and sells it for $7. He sells a couple of hundred copies, which means he now has a list of buyers, $1,400 or so in cash and some real world experience in marketing. The not-so-bright marketer isn’t smart enough to know that $1,400 isn’t a fantastic start. After all, don’t those guru websites say you should be making $30,000 your first month? But this guy isn’t bright, so he duplicates his efforts and creates more products to sell. Some of these products bomb terribly, some of them do well, and eventually after taking one action after another after another, he has a thriving business and a six figure income. If only he had been smart enough to know that you cannot create a new product until you know everything there is to know about making and marketing the product, he would surely have been all the wiser and very much the poorer, just like our “intelligent” marketer who knew better. Too silly? Not really – I see this happen all the time. That some achieve great success is proof to all that others can achieve it as well. Really, what more is there to say? You’ve seen other marketers go from homeless or jobless to six figures. This doesn’t make them super smart, super special or even super nice. What it does make them is super confident that they can grow their businesses even bigger, larger and more profitable if they choose to – or they can work less and be content with six figures, which is still plenty enough to take tropical vacations and look good in a new car every couple of years. And since they’re not super smart, special or gifted, this should ring one thing loud and clear in your mind and heart – if they can do it, YOU can do it. Period. You might want to make that your mantra – “If They Can Do It, You Can Do It.” Say it a hundred times a day if that’s what it takes to embed it so deep within yourself that you believe it with every fiber of your being. Because you know what? It’s a Fact. Pure and simple. If they can do it, YOU can do it. Everyone who got where he is has had to begin where he was. Funny thing about Internet marketing – there are no prerequisites like there are for being a doctor or a lawyer. No one is going to ask for your credentials before they allow you to become successful. So whether you’re a corporate CEO who just got downsized, or someone who’s living in his car, it just doesn’t matter. Begin where you are right now, with whatever talents you already possess, and build on what you’ve got. The bad news is, you’re going to screw up. You’re going to make mistakes. You’re going to have days that make you wonder if you should quit. That’s okay. Pick yourself up one more time, dust yourself off, have a laugh at the situation, and keep going. When I was new I asked a big time guru to promote one of my products for me. Much to my shock he said yes, and he emailed his entire list. He sent so much traffic to my website that my server crashed within minutes. Can you imagine how mad he was that I hadn’t prepared for the avalanche of traffic he sent me? I got my website back up within 2 hours and offered him numerous humble apologies, but he never mailed for me again. Some might have thrown in the towel at that point – heaven knows the thought occurred to me. But I pressed on, and in the grand scheme of things that seemingly horrible, tragic day was but a tiny blip on the screen of life. What if I hadn’t gotten back up? Then you wouldn’t be reading these words right now, and I’d be back where I was, wondering what would have happened if only I’d persevered and kept going. Sure, you can set up a website and hope someday someone comes along and buys your product. 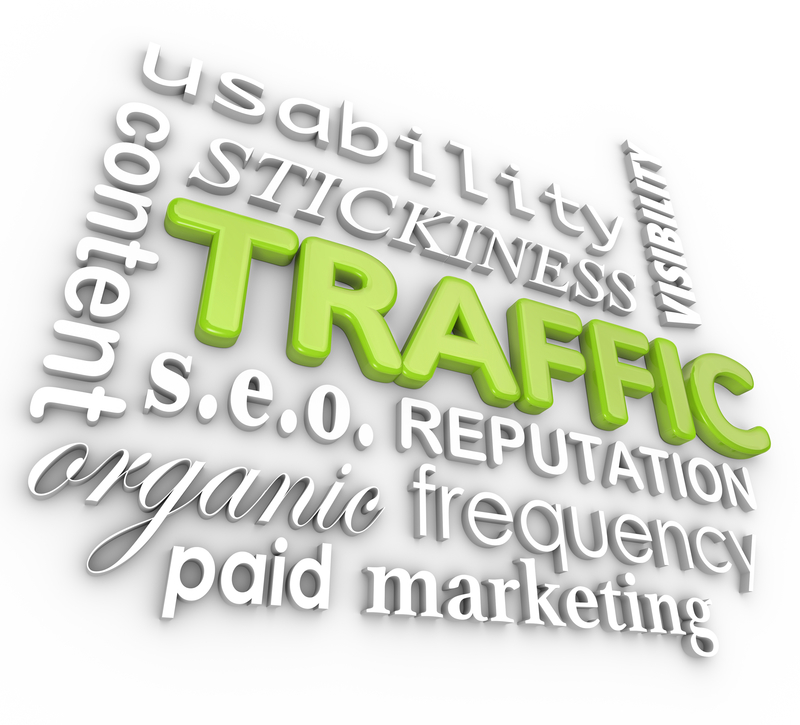 Or you can take massive, determined action to drive hordes of traffic to your site. You can hide in the shadows, or you can build a name for yourself and a brand that is recognized the world over. You can write content to try to please everyone, thereby pleasing no one, or you can take a stand and thus stand head and shoulders above the rest. Taking action is not enough to ensure your success – you must take real, decisive action on a large scale to win the day. Yes it’s scary – but it’s that leap of faith that can produce remarkable results in a very short amount of time. There will be those who tell you that you can’t. That you will fail. That it’s a dumb idea, that you don’t know what you’re doing, that if it were possible, everyone would be doing it. Believe me, there are a thousand ways people can tell you they don’t believe in you, but there is only one person’s opinion that matters – yours. Resolve to succeed and hold fast to that resolution no matter what happens, and it will simply be a matter of time before you persevere and win the day. Remember, courage is not the absence of fear – courage is action in the face of fear. Whatever your fears might be, simply acknowledge them and then move past them. Do not dwell on them, do not make them larger than life, and never allow them to cause you future regret for your inaction. Fear is almost always an illusion, a simple trick of the mind with no basis in reality. Unless your life is in immediate and real danger, fear is a cosmic hoax perpetrated by the primitive part of your brain that couldn’t distinguish an ebook from a duck. All it knows is survival, and really – how many people have died from building websites, creating products or hitting the send button on their email program? The brilliant thing about Internet Marketing is that there is very little risk other than your time. There’s no remortgaging your home to buy web hosting and there’s no chance of building a website so shoddy it collapses and crushes you to death. Yet time and again I see people held prisoner by their fear, and nothing makes fear stronger than a lack of action. So anytime you feel fear tingling your spine, take swift, decisive action and you’ll be pleasantly shocked at how fast and how far fear retreats back into the shadows. Bottom Line? By now you should have noticed one major theme running through all of these quotes. If you haven’t, then I encourage you to go back and figure out what it is, because when you do, success can be yours faster than you ever imagined possible.